You are good at computers. Thanks. You are good at Math. Thanks. To clarify, my coffee cup holds a litre, so this is a 10 litre coffee maker?? Excellent thank you very much for that, I've been playing around with the settings but not found the strength crema I like yet so will try the above today. Same one I've got, generally happy with it but know there's more to it with fine tuning the right settings. Does this need hot water adding or does it heat the water too? Sorry if it’s obvious- it’s be a looooong day and I’ve read the description but can’t see anything! This Anygood?, it Could replace my Morning Monster/Redbull! Why would I care for the opinions of someone who cannot even punctuate? Got this a couple of years ago and am really happy with it, I was fed up with the glass jugs breaking, this jug is great and really keeps the coffee hot. I have to admit I am tempted. Sometimes I can't be bothered with the faf of getting good coffee out of a cafetiere when I'm making 3+ cups. The reviews on amazon are mostly positive but quite a few mentions of the jug dribbling when pouring. Maybe a QA issue rather the design fault. I can't find any reviews of this by coffee pros... what do you guys make of the machine and what sort of coffee do you put in it please? see what you think kevvo. The tank looks to be a bit small methinks. Personally I quite like the Tassimo JOY. Does anyone know if this is better than the TASSIMO VIVY 2? 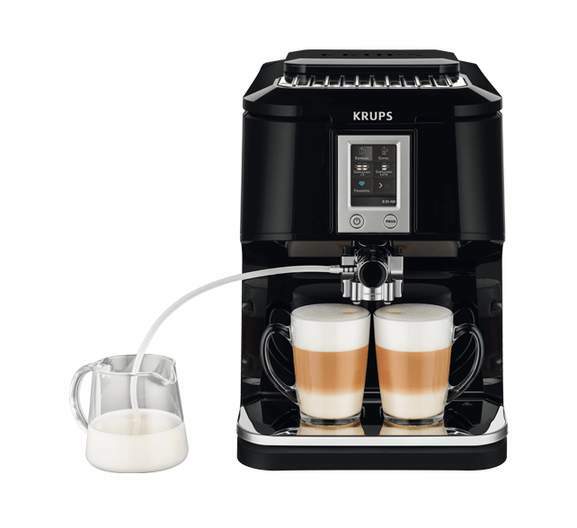 Never miss a 'Coffee Machine' deal again! In a one-off mistake deal, yes. Wasn't this £500.00 or £599.00 in another deal? Coffee hot. Deal ice cold! If your struggling to produce a nice espresso shot, it is probably the beans you're using. Buy freshly roasted beans (with a roast date on them). It's really not that hard to use the machine, try using a glass espresso cup with your desired length of double espresso marked on. Use the same amount of coffee in the basket each time but alter the grind size. You are aiming for your shot to take 30 seconds to extract (from the moment you press the button). If you get down to the finest setting, try adding more coffee to the basket. Failing that, switch beans, you're probably using old stale beans. has been as low as 300/325 usual sale price is around 350-380. the top temp is ready to drink, its not boiling hot. if you add cold milk (straight or from the frother) then it is too low in temp. so most appear to microwave for a minute or so if you like to sip v. hot coffee..
That's interesting, what's the reason. As far as I can tell, the machines are identical apart from looks. I have an old model 4200 and love it. I have this.. it makes a really nice cup of coffee, its easy to use and I could not see any signs of scratches or damage with my Warehouse item. I wouldn't mind this if I could get decent decaf coffee beans .. Seems a good bargain for the Tassimo T75 - the T70 costs £120 at amazon and doesn't use Brita filters while this does. I have a water filter jug I keep in the fridge, and top-up my tassimo JOY (small tank) with it, using the JOY as a kettle. I also have an older VIVY (with a larger tank...my 1st machine) used AS a Tassimo pod machine. BOTH deliver hot "liquids" unlike the DOLCE GUSTO machine, where drinks (4 me) have to go in the microwave. TBH if yer happy with a cooler drink, I'd recommend the DOLCE GUSTO as a more versatile machine for it's simple ability to deliver either hot or cold water at the flick of (on a Dolce Gusto Mini Me) "flagpole" switch You can get Tassimos with built-in water filter machines...at a price, but I find the "jug in the fridge" more...versatile. So you have to buy Brita filters and the pods? I think the catch with the basic models is the capacity of the water tanks - the cheap ones only hold 700-800ml. Bought this for £29 from curry’s recently,don’t know how they can price that at £106 it’s a cheap budgetplastic version. The Coffee Machine is an essential part of everyday life. It delivers aromatic, energy-filled coffee directly to our mug. 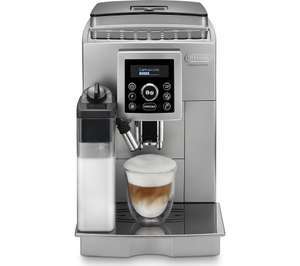 Nowadays, most of the coffee machines are able to do everything from grinding and brewing to milk steaming condensing. And without them, many of us would struggle to get through the day. Coffee machines can come in many different shapes and sizes. There are big-size machines like the ones you see in coffee shops and compact ones that fit neatly into any size kitchen and still brew a perfect cup of coffee. They also come with different functions. These different types include manual espresso machines, bean-to-cup machines, pod or capsule machines and standard percolators, or more generally known as filter coffee machines. 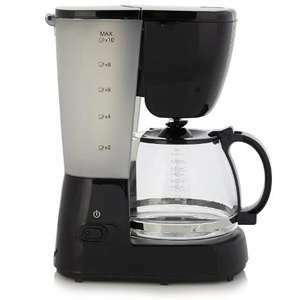 In fact, due to its wide variety, it can be hard to choose the right machine for you, the situation where this HotUKDeals coffee machine buyer's guide comes in handy. Read further to find out what is the right coffee machine for you and how to get it at the lowest price possible. People have been drinking coffee since the 16th century and a wider variety of coffee drinks became available in the following years. These beans brought by the traders from the East Indies have since been making people's mornings more palatable. The coffee making process, however, remained fairly primitive for centuries. In the traditional method, coffee beans are dried and ground, and then heated in a pan with water, which often does not result in smooth taste. Things started changing in the 18th and 19th century when Italian and French coffee makers discovered that steaming coffee grounds could produce much smoother coffee. Soon after the discovery, refining methods were introduced, such as the machines that we still see today as well as vacuum filtration. Percolators started to appear in the 1860s, as American inventors began to mass-produce and spread them all over the country. The basic idea of the original percolator remains more or less standard until now, although today's machines are much more efficient and versatile. Pod or capsule coffee machines have been invented and become popular in the 1970s, enabling coffee lovers to easily make a cup of coffee within a few seconds. Italian style Moka pots have also recently become extremely popular as a new way to brew extra-strong espresso. Invented by Luigi De Ponti in the 1930s, the Moka is one of the most elegant and renowned coffee makers. Along with the French Press, the Moka pots are compact in size and easy to use, gaining a lot of attention from modern coffee fans. Moka pots, french presses, percolators, pump machines and pod or capsule machines are all based on the same working method with slight differences. THe basic principles include the use of ground coffee, which contains varied amounts of caffeine, and the process of combining coffee grounds with hot water, with the aim of creating the smoothest, least granular brew possible. The differences lie in how they actally do so. The french press requires users to push down a filter, pressing the mixture of coffee and water through fine mesh and separating the coffee grounds to the bottom. Filter coffee makers are a little more advanced and complex; it passes hot water, drip by drip, through coffee grounds in a filter into a vessel below. Percolators also work differently. They use various pressure to pass the steam through the coffee grounds that are placed in the container above the water. After going through the coffee grounds, this steam then condenses in the collector vessel in the form of coffee. Pod or capsule coffee machines work using more or less the same principles. Pod or Capsule Coffee Makers — Produced by major brands like Nespresso and Tassimo, these coffee makers have been getting major popularity in recent years. These machines use capsules that have the perfect amount of coffee, which you can simply push it into the machine. These are usually made by the same company that produces the machine and come in many different types, such as coffee breans of Guatemalan, Sumatran, Ethiopian or Ecuadorean origins. They are easy to use and efficient; all you have to do is to snap in the capsule, add water and press the button. Some even feature smart functions, through which you can schedule a time with an app so that the machine can automatically brew a coffee. These machines can also be small so it can be placed on any size countertops. Bean-to-Cup Coffee Makers — If you like the idea of using whole coffee beans, these are the machines for you. They require users to add dried, whole coffee beans into the machine. The attached grinder than automatically turns these raw beans into fine powder, which is then fed into the percolator, making a fresh cup of coffee. Usually very versatile with plenty of different options, these machines are quick and easy to use. On the downside, they can be tough to clean, a little noisy when they grind the beans and slightly more expensive. However, it is worth an investment if you are a coffee enthusiast. Manual Espresso Coffee Machines — Unlike the bean-to-cup machine, this machine does not grind the beans for you. For this, you use a separate grinder —see below for some ideas about which ones to go for— and you'll also need to learn a bit of tamping techniques. Many manual machines come with levers that pump the water through the coffee. Despite its old-school method, the resulting coffee is always strong and full-bodied. 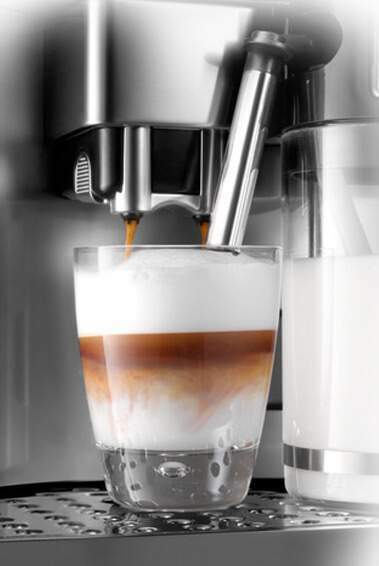 Pump Coffee Makers — You'll see pump machines in most coffee shops for a good reason; they are able to produce high pressure, thus preparing amazing espresso-based coffees like Americano and Cappuccino. Additionally, they require little to no skills to brew a perfect cup of coffee. You just need to master the tamping, which compacts the coffee grinds as tightly as possible and flattens off the top of the tamper. Tamping too hard will take you longer to get a cup of coffee and the coffee might result in burnt taste. Tamping too lightly will result in the opposite: weak and watery coffee. The right tamping will do a wonder and give you perfect espresso with light crema on top with a jolt of caffeine that will help you get through the day. Filter Coffee Machines — The filter coffee machine is a classic; it simply drip-feeds boiling water through coffee grounds placed in a fine filter and captures the concentrated black coffee in a jug below. Usually much more affordable than other more complicated coffee machines, filter machines are a great option if you enjoy simple black coffee. However, they do not come with a grinder and they are the least versatile out of all available coffee machines. Percolators — A bit more advanced than a filter coffee maker, a percolator let you make a stronger, richer cup of coffee. In a percolator, coffee grounds are placed in a top chamber above the water that with high heat seeps through them in the form of steam, before condensing into rich, strong coffee. Their advantage is that they usually make stronger coffee using higher temperature than other brewing methods—just what you need on a chilly winter morning. Percolators come in different sizes and with larger collecting jugs, they are great for social gatherings as well. Cafetieres — Also known as the french press, cafetieres are a student staple. All you have to do is adding some ground coffee in the bottom of the glass pot, pouring boiling water and waiting a few minutes before pushing down the filter to get coffee. Simple, cheap and effective, cafetieres are a easy go-to for everyone. Listed above are the basic coffee machine options on the market. Their prices vary; pump and bean-to-cup machines are relatively expensive whereas cafetieres are more on the affordable side. They can either come only with simple brewing functions or complex other functions like milk frothing. Now let's take a look at which type of machine is right for you. Bar Pressure — Generally speaking, better machines generate higher bar pressure, which makes stronger espresso. 15-19 bar is what you should be looking for. Thermoblock — Coffee needs to be brewed at the right temperature, which not every machine are able to. Look out for machines with a thermoblock that makes sure the temperature doesn't go above 90 degrees centigrade. Power Rating — Usuually measured in watts, machines with lower wattage seem to be more affordable but do not get fooled by this. Higher wattage machines can generate more oomph, heat water more quickly, which can be a major bonus in the morning. Valves — Look for machines with solenoid valves. These features are designed to control water pressure and regulate water flow. Coffee Holders — Most coffee machines feature chambers that hold the coffee grounds before they are processed. This chamber needs to be kept warm to brew the best possible coffee. Top-notch machines feature brass filter holders, while standard, more affordable models use aluminium. Smart Features — These days, many coffee machines began to integrate smart options. This means that through smartphone apps, you can control them remotely, such as scheduling morning coffee from your bed or as you come home. Which Machine is the Best for Making My Favourite Coffee? These days, most people who drink coffee have their favourites. You could be a mocha fan, an americano addict or an espresso enthusiast. In any case, it's vital to buy a machine that will get you what you (and your family) want. Many coffees require frothing of milk before added to espresso. For instance, cappuccinos, lattes and flat whites are all made with frothed milk. However, not all coffee machines have the ability to froth milk. So if you want coffee shop style drinks, make sure that your machine has a milk frother. Furthermore, you have a choice between the manual and the automatic milk frother. A manual frother is the type you'll see at Costa or Nero. It usually takes the form of a wand that pushes pressurised air through the tube into milk, creating thick foam. Coffee machines have to heat water to create steam, which takes time. Thus, manual frothers take longer than automatic ones. They also require a little more techniques since it's important to froth the milk at the right temperature (hot enough but belowe the boiling level). An automatic frother is a good option for beginners or people pressed for time. In this case, you probably just want to add milk to the container and have your machine do the rest. It's much simpler, but it is often said that the froth does not come out as thick as the one that you make with a manual frother. Otherwise, you can check out the bean-to-cup options that cater to latte and capuccino lovers. We focused on making gourmet coffees here. If all you want is filtered black coffee, you won't need either a manual or an automatic frother. 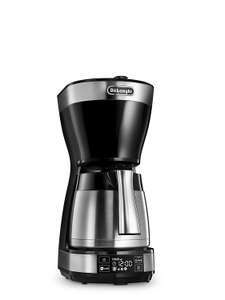 Is a Capsule Coffee Machine a Good Option For Me? You've probably come across a capsule coffee machine at some point, whether you own one or not. 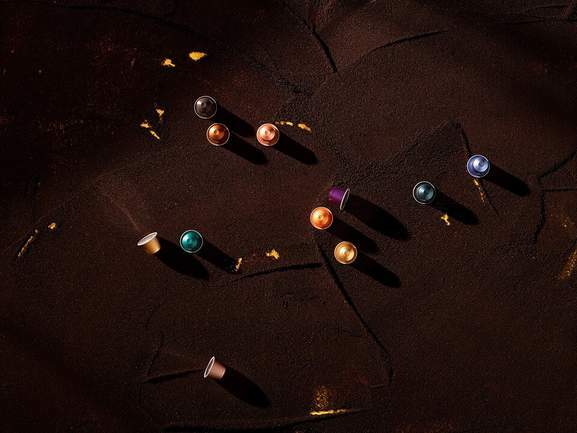 You have also probably seen a TV commercial for Nespresso featuring George Clooney. However, is this actually the right option for everyday coffee lovers as George Clooney claims? 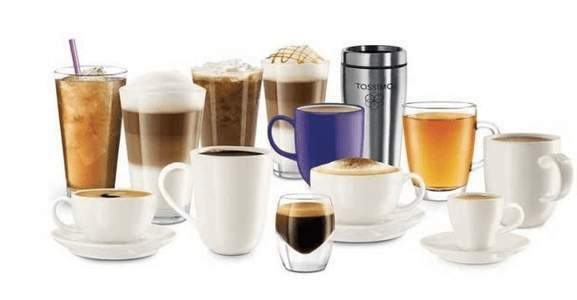 Brands like Tassimo and Nespresso have a loyal fan base that finds the convenience it offers irresistible. All it requires to make a cup of coffee is sliding in a capsule, adding water and pressing a button. The machine generally has options for different kinds of coffee. So if you want a high-standard coffee with just one button, a capsule coffee machine will do for you. These machines are usually compact and easy to transport as well, making them a great option for many households. However, it comes with some downsides. Capsule machines tend to be more expensive in the long term because of the capsule costs. Nespresso and Tassimo charge a lot more per cup than you would pay for ground coffee or roasted whole beans. Morevoer, every time you make a cup of coffee, you use a plastic capsule that is neither recyclable nor environmentally friendly. If you make coffee for more than four people at a time on a regular basis, a Nespresso machine isn't probably your ideal option. If you have already bought a coffee machine, it's worth paying some attention to the coffee itself as well. After all, what really makes a difference the quality of coffee beans or grounds you are using. Regardless of how luxury your coffee machine is, the coffee won't turn out well if you are using low quality coffee. So it's good to know how to find and buy good coffee and additionally how to get the best deals. First, try to look for pre-dried beans if possible. It's worth spending a little extra time grinding your beans yourself, as pre-ground coffee tends to lose its richness and strength over time. If you keep a jar of whole beans, you are able to brew a rich, invigorating cup of coffee everyday. If you are lucky enough to have an artisan roaster in your area—there are more and more roasters coming into the UK—then remember to ask when the beans were roasted. Try to get coffee that was roasted within the past two weeks. If you can check the beans before you buy, take a closer look. If you spot oily film on the beans, stay away from them. This might be a sign that the beans are slightly over-roasted and do not have the best flavour. If you are looking to buy pre-ground coffee, it's best to go for brands that have been Fair Trade- or Rainforest- certified. Not only are they ethically sourced but also these brands are more likely to have higher quality growers and roasters. It's also worth checking out descalers, too. 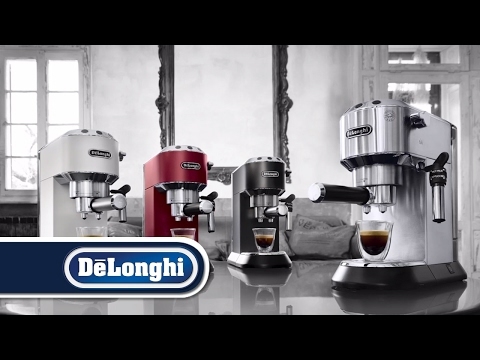 Some brands like Delonghi sell special descalers intended for coffee machines and they help keep the machines free of limescale. Descalers will make your coffee machines last longer. Should I Buy a Separate Grinder? When you buy a coffee machine, you generally have to choose between a machine with a grinder attached and that without it. This isn't a no-brainer: the way you grind coffee is a vital part of brewing coffee. If you are always pressed on time and looking to get a quick cup of coffee in the morning, you might want to buy a machine with a grinder and enjoy the convenience and speed it provides. However, if you are a coffee maniac that likes to brew the best coffee possible, you might want to get your own grinder. For these enthusiasts, it's worth spending a little extra time to get the right grinder. Good grinders can be found at brands like KitchenAid and Dualit and they cost from between £50 to £150, depending on the size. Grinders come with different blades. Most grinders use a spinning metal blade that indiscrimately breaks coffee beans into tiny pieces. Burr grinders, however, use sharp opposing cutting surfaces to achieve finer, more consistent grind. The burr grinders are usually more expensive, but you'll taste the difference. Having a great cup of coffee in the morning isn't optional; it's necessary. However, good coffee machines aren't always affordable. Then, what is the best way to find good but affordable coffee machines? Whether you are looking for a Delonghi bean-to-cup machine, a Tassimo capsule model or a simple cafetiere, the first place to look is HotUKDeals. When you search for famous brands like Bosch, Krups or Rusell Hobbs on HotUKDeals, you'll find sale items from Argos, Tesco, Amazon and John Lewis. They carry every type and brand of coffee machines. It might also be a good idea to plan your shopping during the seasonal sales. Black Friday is a great time to look for coffee machine deals, as big brands like Nespresso and Delonghi slash their coffee machine prices up until Christmas. Otherwise, the January Sales are also an excellent time to snag a coffee machine bargain. There is nothing better than a good cup of coffee in the morning. A good coffee machine is worth investing in, which can brighten your daily life. 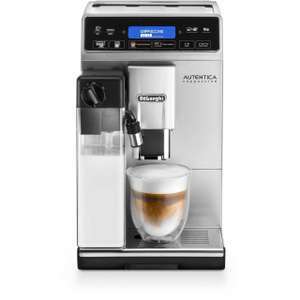 HotUKDeals has discount codes for a variety of coffee machines, from compact machines to coffee shop versions, that would satisfy everyone's budget and needs.